Set in a breathtaking fantastic world conjured by Arun and Shara, two sleeping primordial gods, The Exiled Realm of Arborea (also known as TERA) is a free to play action fantasy MMORPG developed by Bluehole Studio. In the game players are soldiers of the Valkyon Federation whose mission is redeem the errors of the past and forge a new future. The Exiled Realm of Arborea features an interesting political system, whereby players can become elected Vanarchs the rulers of a province, or Exarchs, the ruler of a continent. Vanarchs and Exachs can collect taxes from vendors in their province o continent, as well as activate special shops, skill trainers, teleport routes, and so on. The game also features PvP battles, guilds, open-world dungeons and colossal roaming bosses. 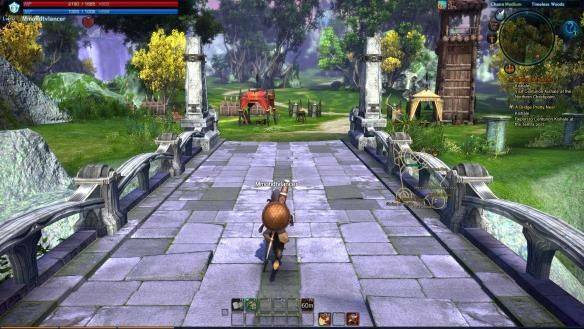 TERA combines stunning graphics with a very intense and rewarding "Non-Target combat system" where players should aim their target, dodge and block enemy attacks to reduce or eliminate the damage they take, as well attack players or creatures using skills or physical weapons.